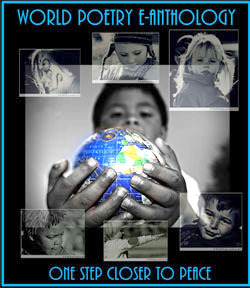 World Poetry Celebrated Musician Devin Gray! 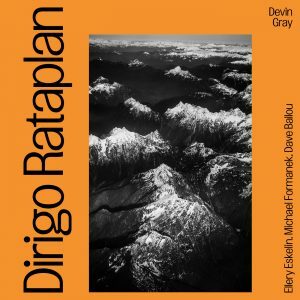 Ariadne’s Notes: On January 10, at 1:30 PM PST the World Poetry Café Radio Show CFRO 100.5 FM welcomed the talented drummer-Composer Devin Gray celebrating the second album, Dirigo Rataplan II, with performances in Belgium, the UK and Switzerland. 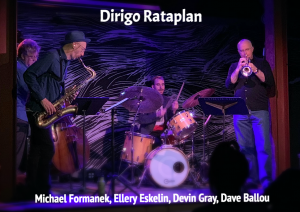 Featuring his all-star quartet Dirigo Rataplan with Ellery Eskelin, Michael Formanek and Dave Ballou. for more info: http://devingraymusic.com/ Also, a gentleman frim Switzerland wrote in to tell us that he attended their European concert and he really enjoyed it and was excited about Devin coming on the show! This was really exciting! It was a fascinating show, delving into the intricacies of composing and the personal attention to detail and the need to put mind, body and soul into each composition. Also discussed was the difficulty of making a career out of it at this time when it is so hard to make a living creating and playing Jazz. This show is a MUST Hear for composers , musicians and creators. TO LISTEN TO THE SHOW, CLICK HERE! Now, after six years of intensive experience as a leader and sideman on both sides of the Atlantic, Gray has reconvened this all-star group for Dirigo Rataplan II, released on CD, vinyl, digitally and for streaming via Rataplan Records on Sept. 21, 2018. Time Out New York has praised Gray’s compositions for balancing “formal elasticity with a meticulous sense of pacing.” The new album brims with more earworm melody, richly implied harmony and a loose-limbed sense of rhythm as something physical and flowing – as blood, as breath. Fans of jazz from Ornette Coleman and Henry Threadgill to Dave Holland and Craig Taborn will dig this organic mix of composition and improvisation, structure and freedom, atmosphere and dynamism. In addition to Dirigo Rataplan, Devin Gray leads the quartet Relative Resonance, featuring Chris Speed, Kris Davis and Chris Tordini. Reviewing that band’s eponymous Skirl Records album, All About Jazz said: “The vitality of Relative Resonance can’t be denied… the music here literally sparkles with wit and resourcefulness.” On record, Gray has also led his Cloudsounds trio (with Ingrid Laubrock and Corey Smythe) and his quartet Fashionable Pop Music (with Tordini, Jonathan Goldberger and Ryan Ferreira). He recently released a hard-grooving digital single fronting his quartet Meta Cache with Jeremy Viner, Elias Stemeseder and Kim Cass. As a sideman, Gray has recorded recent albums as part of Nate Wooley’s Argonautica sextet, trumpeter Daniel Levine’s trio Knuckleball (with Marc Hannaford) and a trio led by pianist Santiago Leibson (with Drew Gress). Of late, the drummer has played with Dave Liebman and Tony Malaby, along with touring Europe at the head of a trio with Speed and Gress. Gray’s recent collaborators also include Gerald Cleaver, Uri Caine, Andrea Parkins, Satoko Fuji, Richard Bonnet, Daniel Guggenheim, Marc Ducret, Frank Gratkowski, Jacob Anderskov, Eve Risser and Susana Santos Silva. Source and thanks to Braitwaite and Katz. This entry was posted in Ariadne's Notes, E-Poets, Featured musicians and artists., Featured Poets, General, Radio Show and tagged Braitwaite and Katz, Devin Gray, International Peace Award Ariadne Sawyer, Victor Swartzman., World Poetry Cafe Radio Show on January 16, 2019 by Ariadne.